This article was originally published on Thursday, 31 January 2019 at 20:07 SGT; it has since been updated to add items on Thai Beverage, CapitaLand Retail China Trust and Singapore Post. CapitaLand Retail China Trust (CRCT) will acquire a property under development in Yuquan District, Hohhot Inner Mongolia, for 808.3 million yuan (S$159.6 million), and it will divest CapitalMall Saihan for a consideration of 503.2 million yuan (S$99.3 million) in a bundle deal with Guanghe New World. Singapore Post reported on Friday that its fiscal third quarter net profit increased 15.6 percent on-year to S$50.20 million on the exceptional dilution gain of S$28.2 million from 4PX. Thai Beverage said on Thursday that it received the necessary approvals from Vietnamese regulators for its indirect wholly owned subsidiary BeerCo to complete the acquisition of a 49 percent stake in Vietnam F&B Alliance Investment Joint Stock Co., and to transfer shares in Saigon Beer – Alcohol – Beverage Corp. to Vietnam Beverage Co.
As a result of the acquisition, BeerCo holds around 99 percent of Vietnam F&B, with the remainder held by the existing Vietnamese shareholders, it said in a filing to SGX after the market close on Thursday. In a separate filing, Thai Beverage said Director and Second Executive Vice Chairman Puchchong Chandhanakij, age 72, had retired by rotation, saying he didn’t intend to seek re-election to the board. In addition, Director Kanoknart RAngsithienchai, age 73, retired by rotation, saying she didn’t intend to seek re-election as director, the company said. 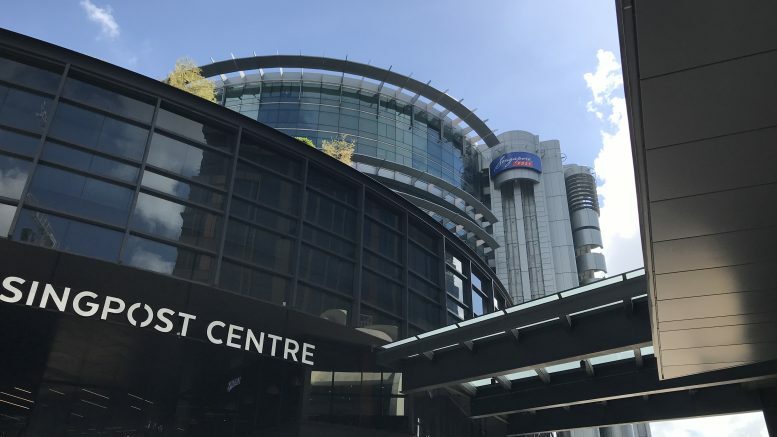 UBS AG increased its direct interest in Cromwell European REIT to 10 percent from 0.02 percent after the acquisition of 217.75 million shares for 99.08 million euros (around S$153.1 million) in a share placement, it said in a filing to SGX after the market close on Thursday. UBS AG’s indirect interest in the REIT remained at 6.5 percent, the filing said. YTL Starhill Global REIT Management, the manager of Starhill Global REIT, said on Thursday that it entered into an agreement with Cathay United Bank for a three-year unsecured and committed revolving credit facility of S$30 million. Developer GuocoLand reported on Thursday its fiscal second quarter net profit dropped 84 percent on-year to S$10.85 million amid lower sales of residential units. Iconic Singapore chili crab restaurateur No Signboard Holdings received a query from SGX over trading activity in its shares after they surged 23.97 percent on Thursday to close at the day’s high of S$0.15 in a surge of volume. The company requested a trading halt during the mid-day break. Genting Singapore said on Thursday that the Casino Regulatory Authority of Singapore renewed the casino license of its wholly owned subsidiary Resorts World at Sentosa for another three years, starting from 6 February.